Walking through Beckett Lake Nursery a few weeks ago, we couldn't help but start singing once we picked up these little guys. What were we singing? The Love Boat of course! Not really, but we did bring home some purple love grasses. AKA eragrostis spectobilis, purple love grass grows well in zones 5-9 and produces purple plumes in the fall. 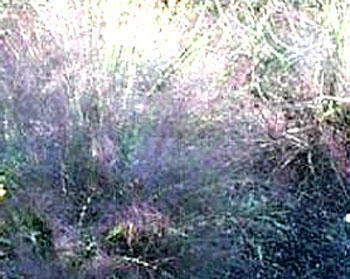 It's a very airy type of grass often described as a purple haze when it sets flower in the late summer/early fall timeframe.